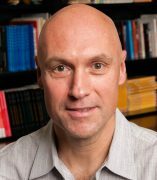 Christopher Boyer is Professor of Latin American and Latino Studies and Professor and Chair of History at the University of Illinois at Chicago. He teaches classes on modern Mexican history, Latin American studies, and environmental history. His scholarship is located at the crossroads of the social and environmental history of Modern Mexico. His most recent book, Political Landscapes: Forests, Conservation, and Community in Mexico, investigates the conflicts and alliances between forestry experts and indigenous communities in Mexican forests. He is the author of several articles and book chapters published in the United States and Mexico, as well as an edited volume of environmental histories of modern Mexico. He also edits a book series on Latin American environmental history for the University of Arizona Press. His current interests include the environment, the Green Revolution and the Americanization of foodways in Mexico.